St Abbs Lifeboat first put to sea in 1911 and for the last 104 years we have supported and crewed the lifeboat, saving 230 lives. and over 13500 people who signed our petition. We campaigned for the RNLI to reverse its decision and keep the St Abbs Lifeboat Station open as part of the RNLI family. Sadly on the 8th September 2015 the RNLI withdrew their lifeboat. But having saved four lives in the last year alone, we have decided to set up our own independent lifeboat station and begin fundraising for a new boat. 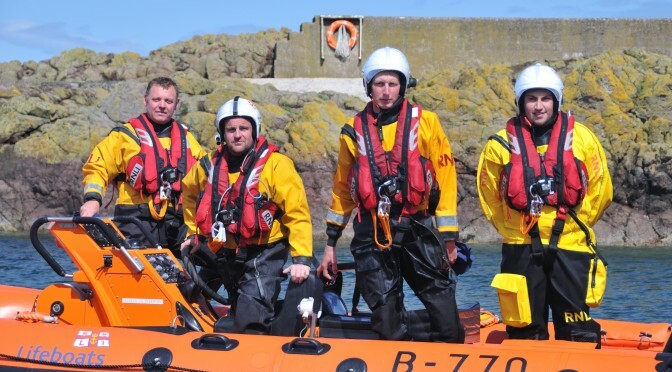 Please help us “Support St Abbs Lifeboat” and allow us to continue our proud tradition of saving lives at sea. 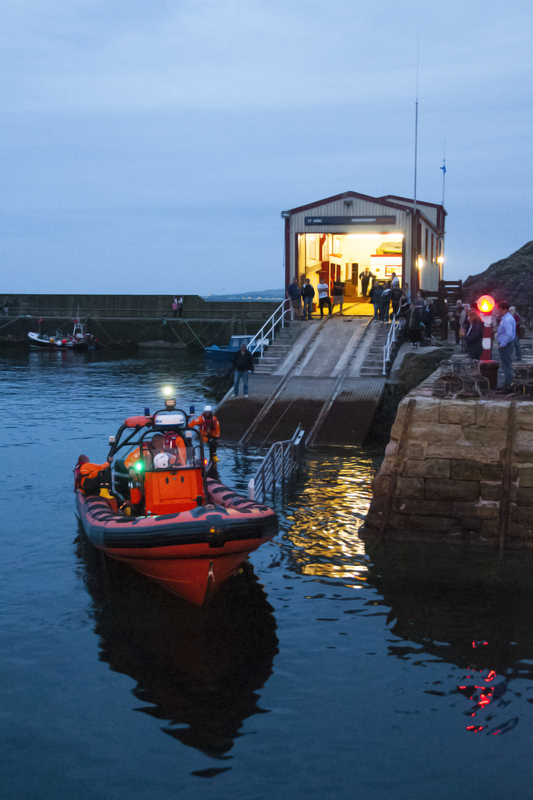 We believe that the RNLI’s decision to close the St Abbs Lifeboat Station was fundamentally wrong; and that the withdrawl of the B-Class (Atlantic 75) from St Abbs will greatly increase the chances of someone dying in an accident along our coastline. Therefore we are working to setup our own lifeboat finance and run independently from the RNLI. Why is a lifeboat needed at St Abbs? 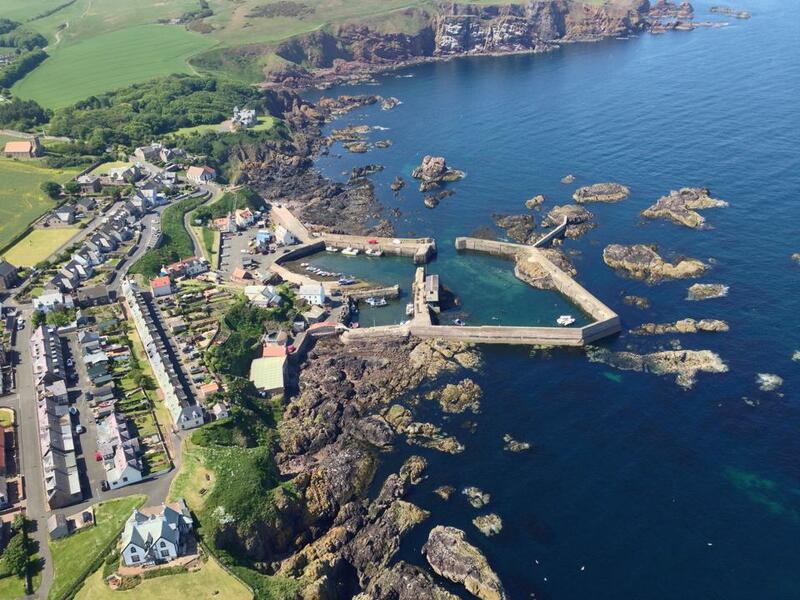 The St Abbs Lifeboat Station is located where people access the sea. 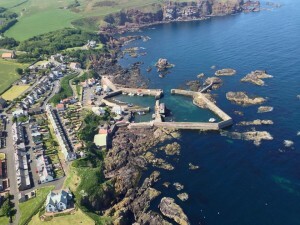 The St Abbs Lifeboat Station is located within in the heart of the St Abbs and Eyemouth Voluntary Marine Reserve – one of the UK’s premier scuba diving sites. The headland (St Abb’s Head) to the north of St Abbs is a National Trust of Scotland nature reserve and attracts thousands of visitors each year. The coastline north of St Abbs is rocky with some of the highest cliffs in the UK, attacting anglers, kayakers and birdwatchers. The beach at Coldingham Sands is the most popular swimming beach in the Scottish Borders. The St Abbs Lifeboat was crewed by highly experience men, most of whom worked the seas around St Abbs every day as fishermen, dive boat operators and divers. Their local knowledge is second to none. And every one of this crew has signed up to be a memeber of the new indepedent St Abbs Lifeboat. Thanks to the generousity of all our supporters we have been able to buy a new lifeboat and re-equip our lifeboat station. 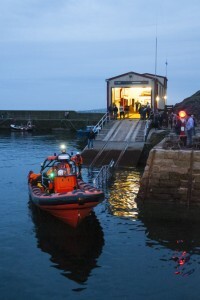 The boat house is owned by St Abbs Harbour Trust and we have took over the lease after the RNLI vacated the boat house.